It is a matter of dogma that God the Son is eternally begotten by the Father (“God from God, Light from Light, true God from true God“). It is a matter of dogma that the Holy Spirit proceeds from the Eternal Love between the Father and the Son (“I believe in the Holy Spirit, the Lord, the giver of life, who proceeds from the Father and the Son“). The Holy Spirit is the fulfillment or “terminus” of the Holy Trinity, and therefore (unlike the Father and the Son) He does not bring forth (to use human terms) another Divine Person, except through Mary in the Incarnation! January 1, 2016 is the feast of the Solemnity of Mary, the Holy Mother of God. Let us begin the new year by drawing closer to the maternal heart of Mary. Thank God for d gift of mother Mary. 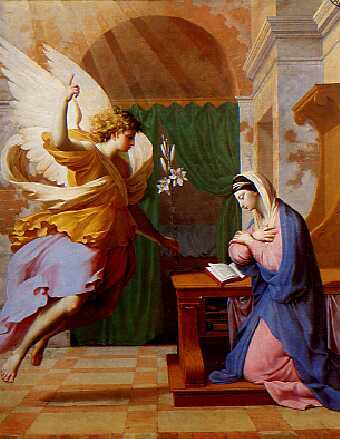 My blessed mother Mary please donot cease to interceed for us.